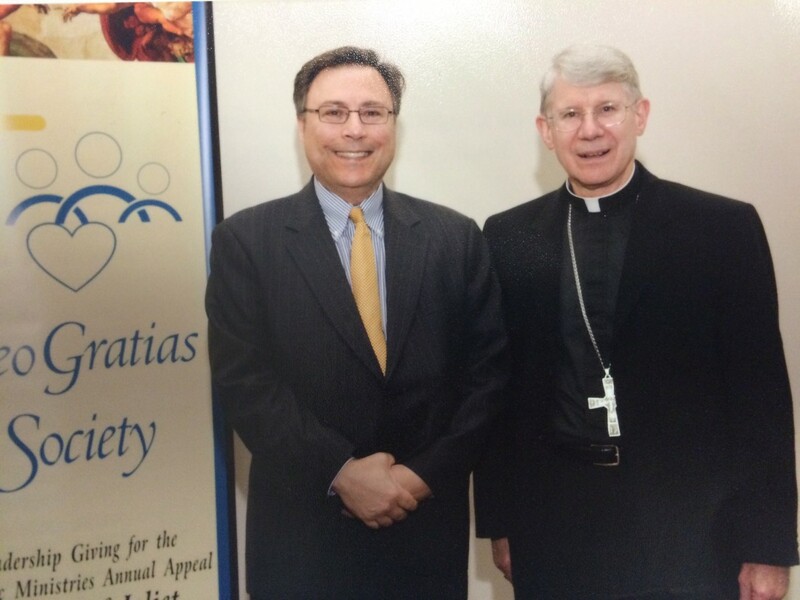 The Firm’s Jim Geoly (left) with Most Rev. Daniel Conlon, Bishop of the Diocese of Joliet at the recent “Deo Gratias Society” mass and reception. The Society supports the work of Joliet Catholic Charities and other ministries.